March 13, 2014: Former U.S. 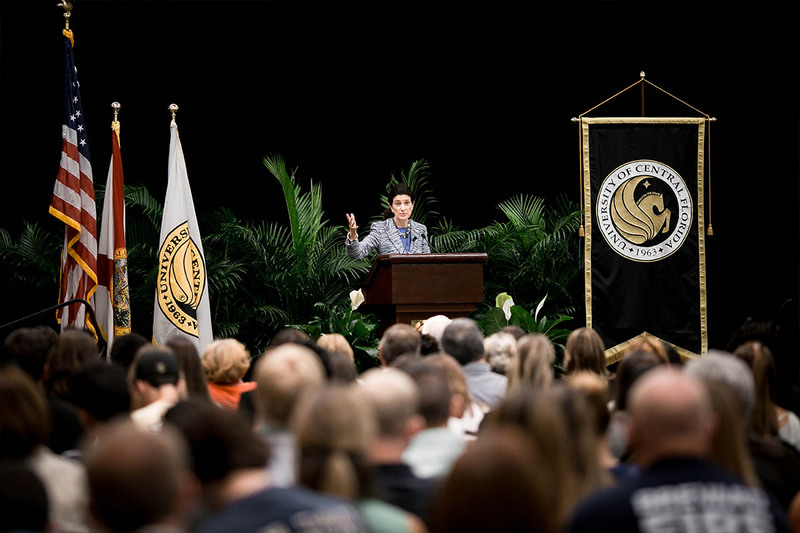 Senator Olympia Snowe was the inaugural speaker in the Presidential Distinguished Visitors Series. 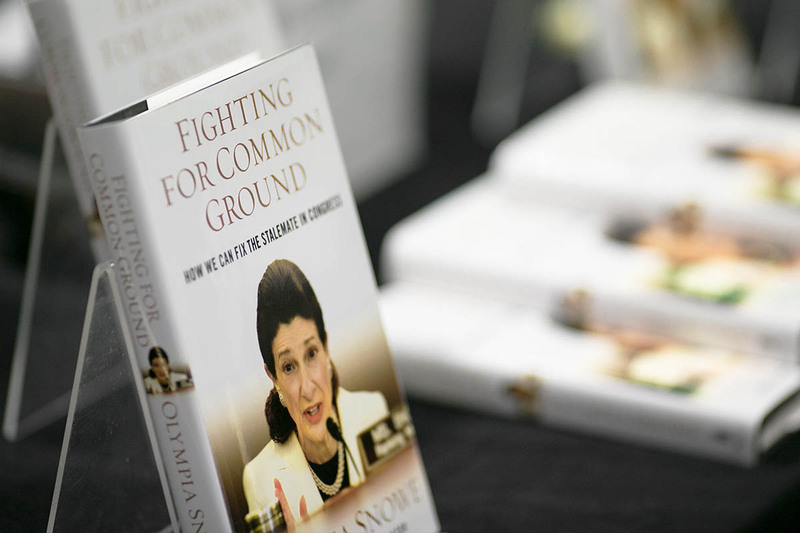 March 13, 2014: Snowe's book, Fighting for Common Ground: How We Can Fix the Stalemate in Congress, proposes solutions for solving the bipartisan gridlock on Capitol Hill based on the former legislator's 18-year tenure as a U.S. Senator. 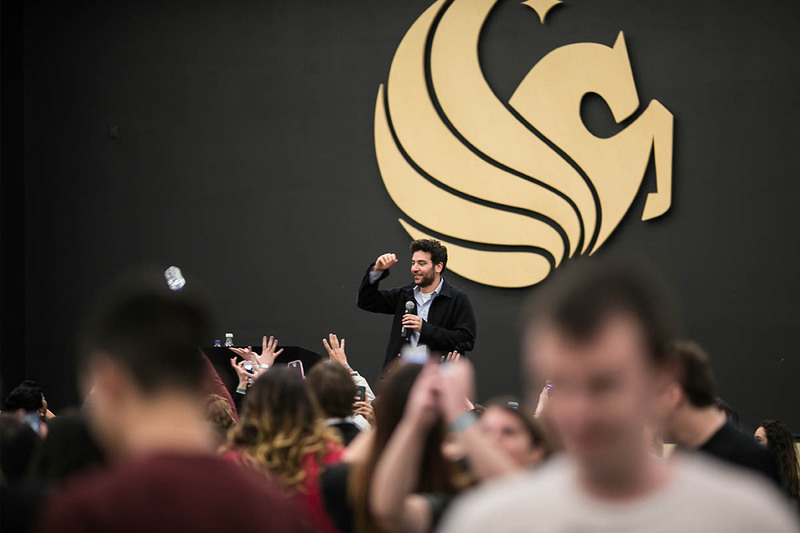 March 18, 2014: Actor Josh Radnor, best known for his role as Ted Mosby on the CBS comedy “How I Met Your Mother,” spoke to a packed house at the Pegasus Ballroom. 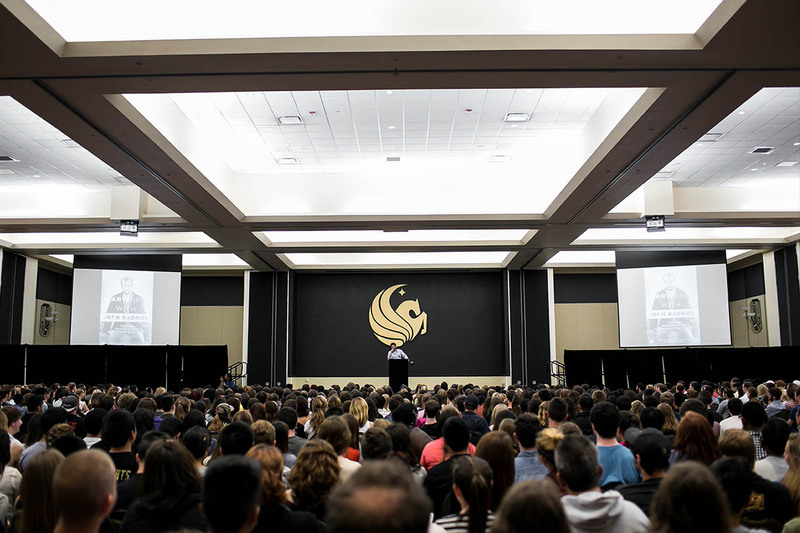 March 18, 2014: The actor was the student body's choice by popular vote when polled by the Campus Activities Board. 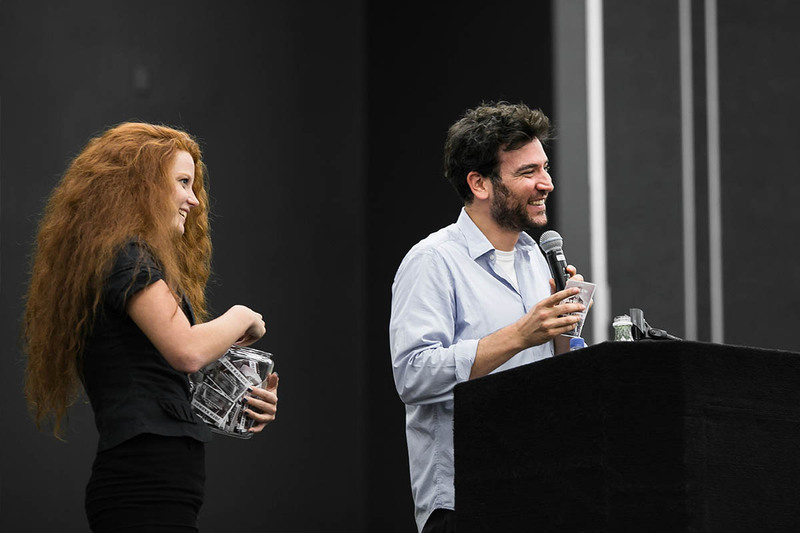 He shared behind-the-scenes stories from the popular series, which ran for nine seasons and aired its final episode March 31. 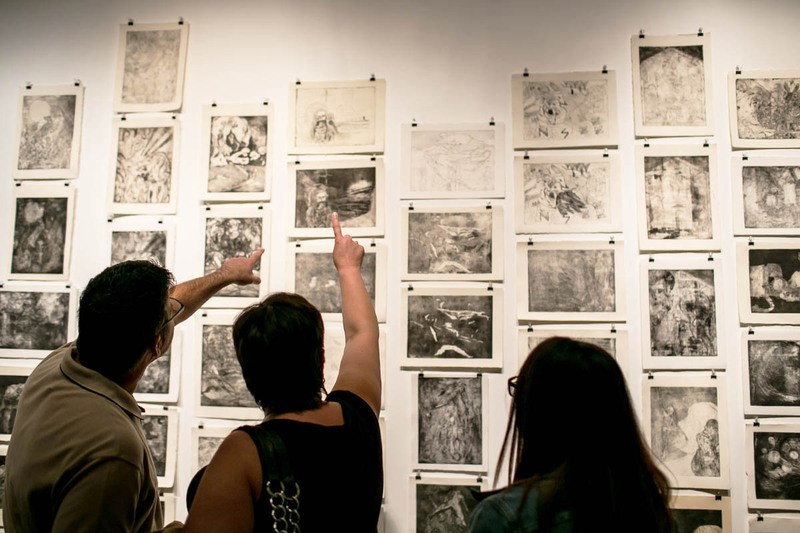 March 27, 2014: The STEAM Exhibition at the UCF Art Gallery showcased works by artists from the School of Visual Arts and Design who collaborated with students from STEM (science, technology, engineering and mathematics) programs. 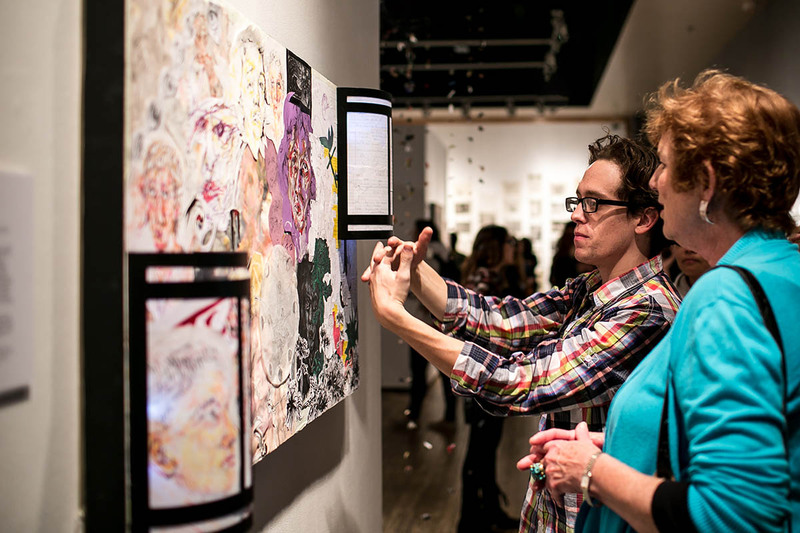 March 27, 2014: The collection of posters, paintings, prints, sculptures, illustrations and photographs were created by SVAD students to artistically translate the research done by their math and science counterparts. 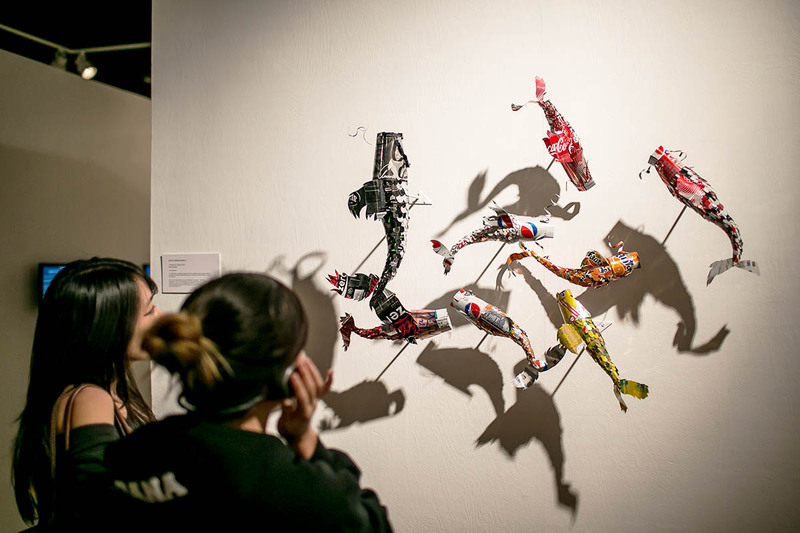 March 27, 2014: The goal of the STEAM (Science, Technology, Engineering, Arts and Mathematics) exhibit was to bring students from different disciplines together to build mutual understanding and appreciation. 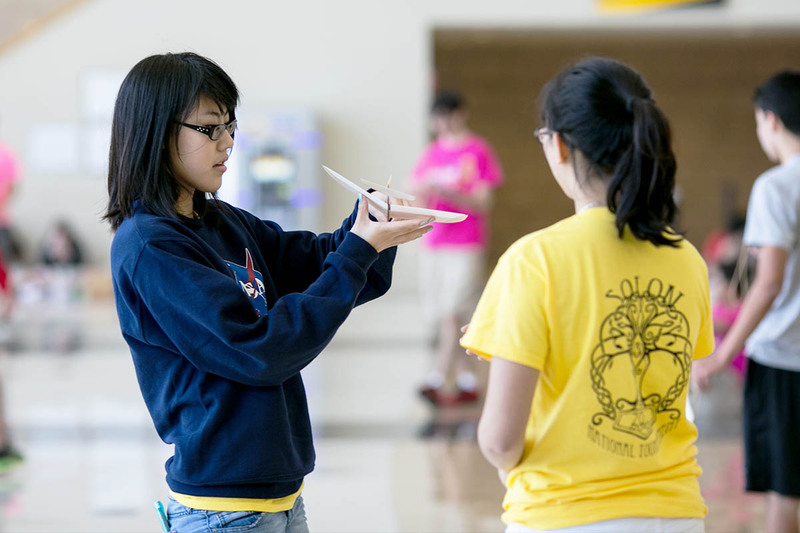 May 16, 2014: More than 5,000 middle and high school students from around the United States converged on the main campus to compete in the Science Olympiad National Tournament. 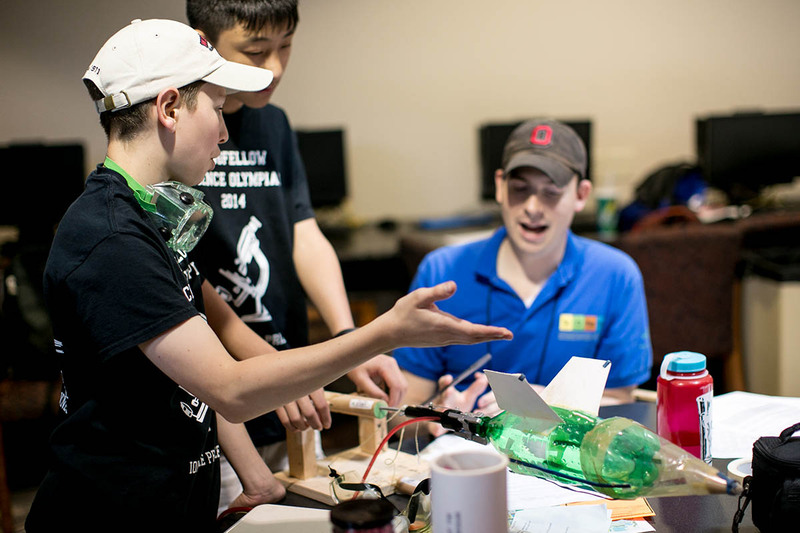 May 16, 2014: The 30th annual event invited students to compete in dozens of events that tested their creativity, teamwork and knowledge of math and science. 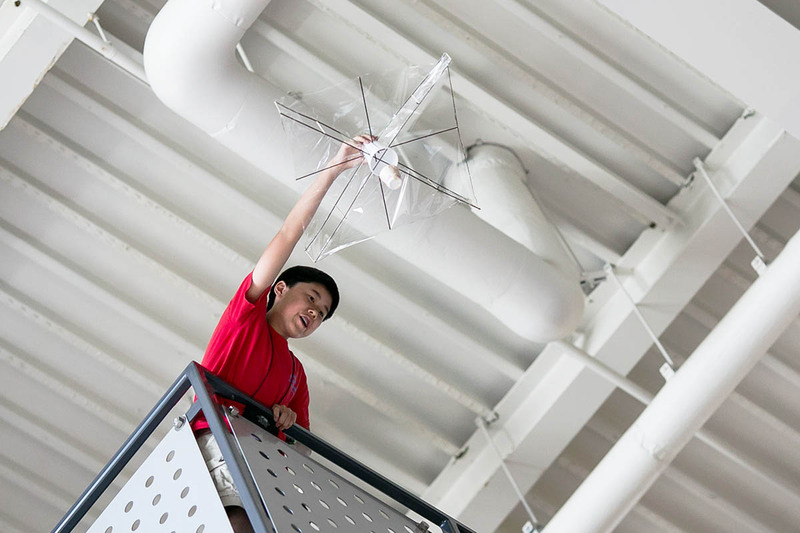 May 16, 2014: A Science Olympiad competitor launched his egg drop vehicle from a stairway in the Engineering II Atrium. 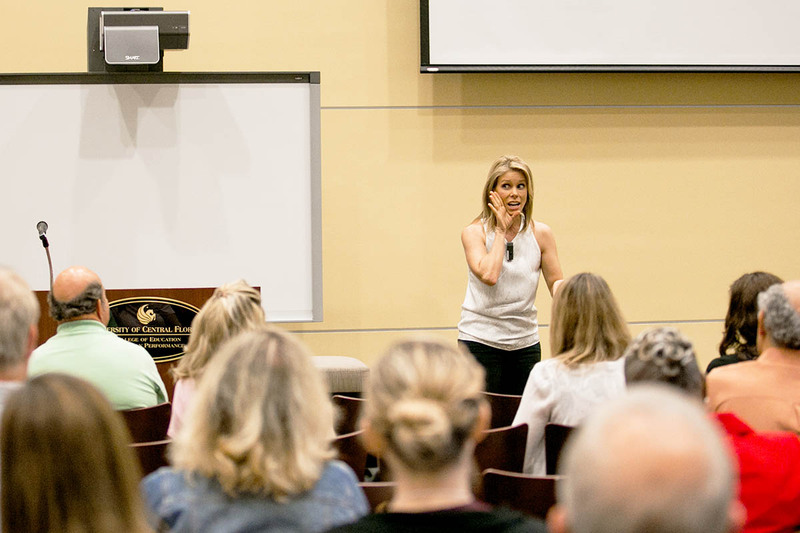 May 22, 2014: During the TLE TeachLivE conference, actress and comedienne Cheryl Hines, ’90, taught educators improvisation techniques to use in the classroom.